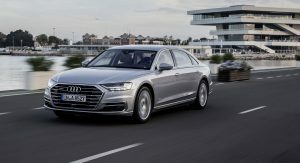 The 2019 Audi A8 made its North American debut at the Los Angeles Auto Show last year and now we’re learning how much it will cost when it goes on sale in the United States this fall. 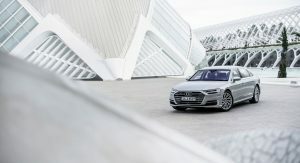 According to Roadshow, Audi‘s new flagship will start at $83,800 before destination and delivery fees. That’s a modest increase of $1,300 over the 2018 model which starts at $82,500. 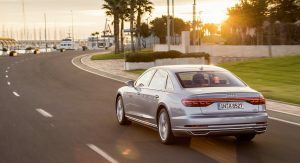 Despite the small price increase, the 2019 A8 comes loaded with features as the entry-level model will reportedly come equipped with an adaptive air suspension, leather upholstery and 18-way power front seats. 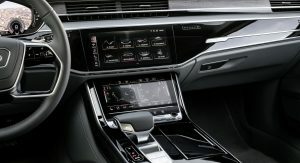 Drivers will also find three screens including a 12.3-inch digital instrument cluster, a 10.3-inch infotainment system and a lower 8.6-inch display which handles the climate control settings and seat features. 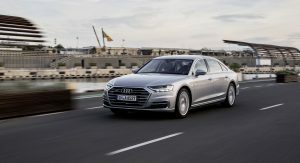 Audi made a big deal about the fact that the A8 was the first production model to offer a Level 3 semi-autonomous driving system but it won’t be available stateside. According to the publication, Traffic Jam Pilot won’t be offered in America thanks to “infrastructural and consumer issues” as well as a “quagmire of legal” problems surrounding the technology. 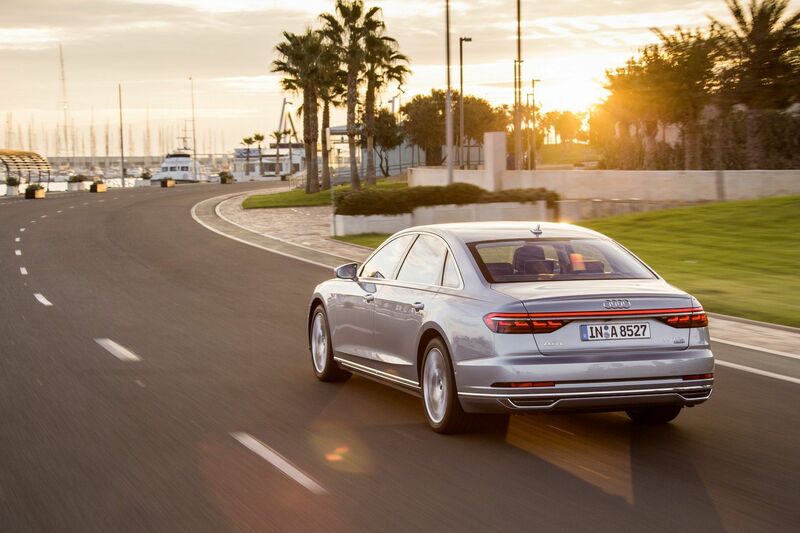 Despite eschewing the Level 3 system, the A8 will offer a Level 2 system which includes adaptive cruise control. 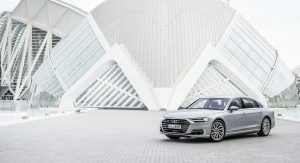 At launch, the A8 will be offered exclusively with a turbocharged 3.0-liter V6 engine which produces 335 hp (250 kW) and 369 lb-ft (500 Nm) of torque. 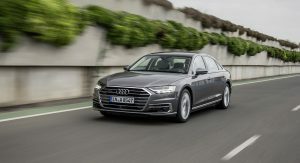 It will be connected to an eight speed automatic transmission and standard quattro all-wheel drive system with a self-locking center differential. In Europe, this powertrain enables the car to accelerate from 0-62 mph (0-100 km/h) in 5.7 seconds before hitting a top speed of 155 mph (250 km/h). Buyers looking for something more powerful will reportedly have to wait until the summer of 2019. Roadshow reports a V8 variant will be added to the lineup then but details remain elusive. 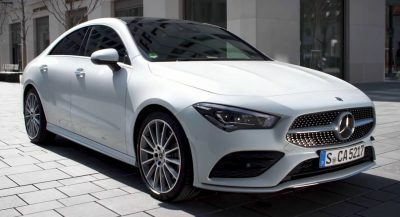 As a result, it’s unclear if the publication is talking about the S8, which is slated to use a twin-turbo 4.0-liter V8 with around 530 hp (395 kW), or a mainstream model with a V8 engine. Poor launch will lead to continued slow sales for this car. The FWD, German Buick look doesn’t help either. Yeah, let’s show off our greatest feature and not offer it to you. And let’s give the people a V6 because that screams luxury. To be fair, the S Class and BMW both start with a 6, and this isn’t saying that’s the only engine, just the one at launch. Also, there are a lot of legal hurdles to introducing the level 3 tech, which are going to be much harder to muster thanks to all the high profile crashes recently surrounding this tech. Pair that to a country who has so many other issues that addressing common laws surrounding this tech will be awhile before it happens. Also, every state you go to has different signs for the same things, so that all has to be mapped, unlike Europe which has the same signs from country to country. This isn’t on sale yet? I’ve seen a couple on the freeway in SF this past month. Makes the 2018 Mercedes-Benz S450 4MATIC look like a steal even at $10K higher. What a poor lunch for this vehicle. Only 335 hp for the Audi Flagship? Sounds like BMW 4 Series numbers. Nobody “needs” this car. We could live with a Honda Accord. however, what are we paying $85,000 for? That’s the question. If you pay more, you expect more, it’s as simple as that. 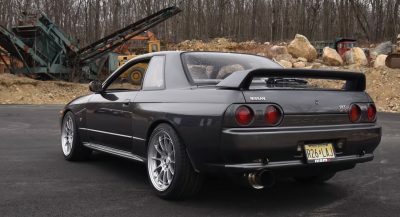 I’m surprised that I would have to explain this to someone named “OG” on a car blog website. 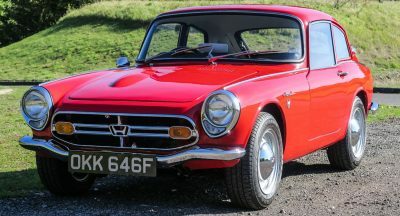 State of the art tech,top notch materials,excellent fit and finish,etc.If the power of the base engine is your problem then you don’t seem to understand how this class of vehicles work. That’s just the base engine. True but it’s also the only engine offered at launch. That’s pretty anemic if you ask me. Perhaps you don’t realize this but the new A6 will also have 335 HP. Not the S6… the A6. The BASE A6 will have the exact same HP. They have new engines, I bet that’s why it’s taking them longer to launch all the models. 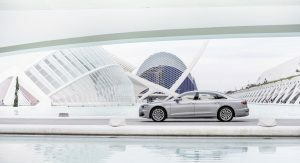 a base engine with 333 HP, so does the A7. I just don’t agree with the power overlap. There needs to be differentiation between the models in every area, not just the body. Audi is already getting lazy in the design department. Now they are lazy in the engine department as well? Even if they add 40 additional HP, give us something. Because the government says no. What happened to Audi’s design language. This looks like fat A4. Not good for your flagship. The new BMW 8 Series Gran coupe shits all over this. The 7 series is the one you’re looking for,the 8 CG competes with the AMG GT4. You haven’t seen both cars in real life…..